Last Day of School – Welcome to Summer! Do you do something fun on the last day of school? I’m usually a boring mom…with nothing planned. This year I’m taking advice from Leanne at Organize and Decorate Everything and making a bucket of fun things for my kids to come home to. This will be such a fun surprise! We are going to start the summer off right! Print these cute tags I made for you, tie them to your bucket, and you are ready for some fun! 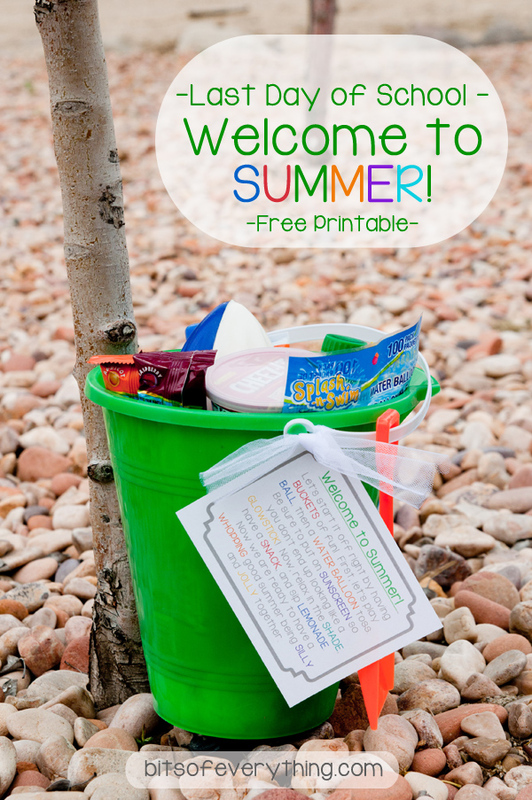 8 Responses to Last Day of School – Welcome to Summer! I love this! Your kids are going to be so excited! Thanks for the shout out! How fun is this!? My boys would love it if I did something like this. I never think of doing something fun on the last day, before it is actually here, and then I don’t have time. I might just have to use your idea. Thanks! I love everything about this. We want to do something fun for Dax next year when he finishes kindergarten. I’m pinning this for later! This is such a fun idea! I am a boring mom too and don’t usually do anything like this. 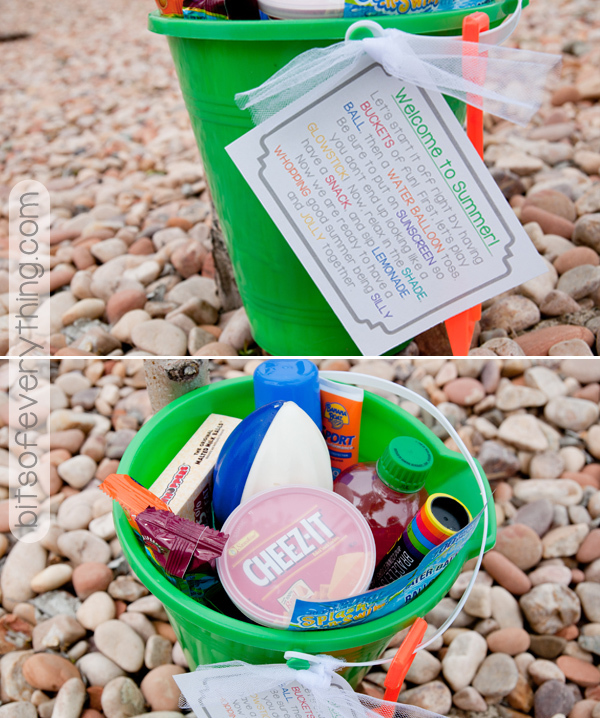 We leave for our family vacation on the last day of school, but this would be a fun surprise to take with us! I am featuring you from linking up to The Creative Exchange! This is TOO cute! I can’t wait to put ours together for this yar. This is such a great idea!! Love it.